Oct 20, 2016 at 08:32 PM | 136 Views | Last edit Oct 20, 2016 at 09:22 PM 2 rev. 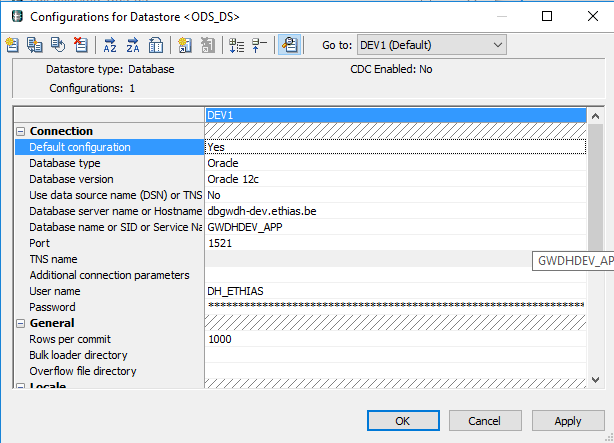 However the data store configuration(DEV1) is connected to the DataHub database(where the objects were deployed) and the system configuration name which I also put to DEV1 also matches the name used when preparing the User ETL Configuration spreadsheet. Change the name of system Configuration To DEV1 – The name you have used in UserETLConfig.xls.